BAKERSFIELD, Calif., May 7, 2018	(Newswire.com) - ​Liam, a nine-year-old boy in Bakersfield, California, received a very special Autism Service Dog delivery today from Service Dogs by Warren Retrievers. 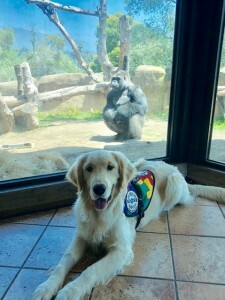 Based in Madison, Virginia, Service Dogs by Warren Retrievers, or "SDWR," has a mission to provide custom trained and specially-bred service dogs for individuals of all ages with invisible disabilities like Diabetes, PTSD, Seizure Disorders, or in the case of Liam—Autism Spectrum Disorder. In addition to over 600 working dogs already placed, there are over 400 families enrolled in our program awaiting the delivery of their service dog. 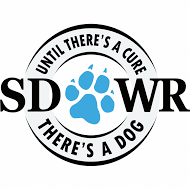 What makes SDWR so unique, is that they have no age restrictions and none of the enrolled families ever travel in order to receive their service dog or participate in team training. Norman, a golden retriever Autism Service Dog, has already received countless hours of training through SDWR’s service dog raiser program where volunteers raise puppies in training for about a period of one year. The dogs and raisers must follow through the foundation and skillset training provided through SDWR trainers at the facility in Virginia. Norman is also a very special graduate of the SDWR Fallen Officer Puppy Program. The Fallen Officer Puppy Program, or “FOPP,” is an initiative by SDWR that began in 2016 to honor the legacy of American police officers who have sacrificed their lives in the line of duty. Norman is named in honor of fallen Deputy First Class Norman Lewis who served with the Orange County Sheriff's Office in Florida. In January 2017, Deputy Lewis was killed in a motorcycle crash while participating in the search of the subject who had just murdered Lieutenant Debra Clayton, of the Orlando Police Department. Liam's Autism Service Dog work with Liam will carry on in memory of Deputy Lewis’ life of service and sacrifice. Liam was diagnosed at age 3 with Autism, AHMDHD at 5 years of age, and diagnosed with Tourette’s at age 8. Liam has limited amount of safety awareness and sometimes elopes when he’s upset. He struggles with sharing & playing appropriately with peers. Liam is an artist and is intelligent, creative, funny, and very inventive. Liam’s family believes having a service dog would be a loving companion and a friend for Liam whenever he gets lonely. They also think that a service dog would significantly decrease his anxiety and bring him to a calm state. “It's hard for me to take Liam out in public to stores and such because he gets overstimulated and it usually turns into a meltdown. Having a service dog could help support him in social environments. A service dog will make him feel safe and secure,” explains Liam’s mother, Melissa. Having a service dog would give Liam a sense of security and freedom in more ways than one. Because Liam has ADHD and Autism, he suffers from a high amount of anxiety, a lack of social skills and impulse control, and safety awareness. Norman will assist him with the process of transitioning or stopping a desirable activity as well as redirection of self-injury, elopement, applying pressure to provide a calming effect, and locating Liam when lost. Norman will work with Liam and his parents to provide practical and emotional support for issues like difficulty cleaning up toys, getting dressed, and doing other routine daily tasks. Liam’s family is hoping that with a highly-trained Autism Service Dog like Norman it will help give Liam the confidence and freedom he needs to face everyday challenges. Norman is equipped to help Liam cope with his daily struggles by providing him comfort during times when he is having trouble waiting in lines or taking turns, and comfort him when he is anxious in loud, crowded places with bright lights. As a working service dog, Norman is trained to be a calming force when Liam is having a meltdown. Norman will also provide Liam and his family with some additional peace of mind and will provide Liam with companionship and help with his anxieties throughout his day. Since Norman is a service dog and covered under laws in accordance with the Americans with Disabilities Act, he will be able to accompany Liam and his family everywhere — from school, to restaurants, even to the grocery store with his family. SDWR will continue to work with Liam’s family and Norman, to train for specific needs they may have. What sets SDWR apart from other nonprofit service dog organizations is this highly customized and tailored training program. SDWR trainers will continue to return for training sessions with Liam, his parents and Norman for the next 18 months every 3-4 months to continue developing Norman’s skills to best fit their lifestyle and Liam’s disability. Service Dogs by Warren Retrievers is a nonprofit organization based in Madison, Virginia, and relies on donations to help the organization in its mission, “Until the Puzzle's Solved …there’s a dog.” To make a donation or learn more about SDWR, please visit the website at http://www.sdwr.org or http://www.sdwr.org/faq. To learn more about Autism Service Dogs visit http://www.sdwr.org/service-dogs/autism.